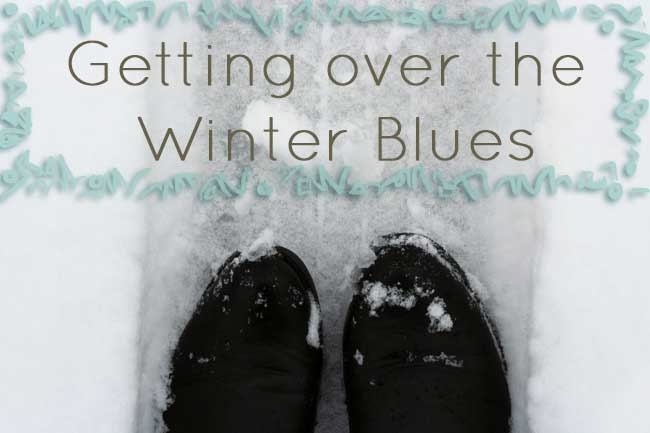 Here’s a confession for you: I suffer from winter blues! Ok, so it’s not much of a confession if you’ve ever met me through winter. But for those online folk/people who only know me in the summer, winter is a tough time for me. I get lethargic, I need more sugars, I sleep more, I hibernate. To be fair, moving to Canada helped a little bit, there’s something to be said about winters that are filled with sunshine, even if it is cold. Anything is better than the gloomy, cloudy winters of England! Although my issues with winter may not be a surprise to those that know me, it’s still something that I don’t really talk about with many. It’s been a real struggle for me to post on here lately. I felt bad about this, but then I received a beautiful letter from a friend in the UK. I had never expressed my struggles to her, so I was surprised when she mentioned that she was writing because she knew that I tend to get sad at this time of year and letters seem to make me happy. I got a little teary eyed because, ya know…winter, and then I thought about it. Everyone knows that I struggle in the gloomy end of winter and yet I never speak about it. Having dealt with this for years, I, perhaps, have some knowledge on the experience that I could actually share, so, share I shall. Being kind to yourself is the best way of dealing with Seasonal Affective Disorder, or, in fact, any sadness. Sadness happens, don’t be tough on yourself. Allow it to be there, cut back where you need to and take time to be kind to yourself. If you’re hard on yourself, it’s just going to make it worse. Criticizing yourself for being lazy or feeling ‘that way’ isn’t going to lift your mood or change the situation. It’s so tough to leave the house in winter because it’s cold and, lets face it, you don’t want to. Seriously, leaving the house in the winter is the best thing you can do! Get some sunlight on your face, or at least feel fresh air airing out your head. Even if the sun is hiding, there are still benefits to being outside in winter. Do something for you. I have a bit of a love for cocktail dresses and high heels but I rarely have anywhere to wear those clothes. I don’t dress up often but when I do, I feel awesome. It’s not unheard of for me to just dress up for no reason, or for very little reason. It makes me feel good and I enjoy myself. Find something that makes you feel good, preferably something you don’t do very often and then just do it. Even if I don’t go anywhere and just spend the evening dressed to the nines, watching the TV with a nice big portion of ice cream, it lifts my mood. I’m not talking about eating 10 fruits and vegetables a day. I really struggle with healthy eating during the winter. I just want to eat junk food (such as the ice cream that made up my breakfast this morning), and I do (I try to be kind to myself about this slip up), but I find it better to eat junk food that I’m making at home, so I stop pretending that I will make pasta sauce from scratch, like I would in the summer, and I’ll buy the pre-made jars of tomato-y goodness, the frozen pizzas and gross frozen lasagne. I hate them all but they’re better than eating out every night and they mean that on those days that I really can’t face chopping vegetables, I have something to eat that isn’t as bad for me as a burger from a fatty take away. If hibernation were an Olympic sport, I would be champion. It’s a seriously great talent of mine, however, we all need a level of social interaction and ignoring that just won’t help any gloominess. I spoke here about how I want to make more effort to connect with people and this is partly because I need that social interaction to stay positive. It’s an effort to leave the house and make myself look decent but I always feel so much better afterwards. As an introvert, it’s really easy for me to get overwhelmed and then hide again, so I set limits during winter. I try to fill 2-3 evenings a week with social interaction, whether that be skyping with friends around the world or driving to spend time with my pregnant friend who wants someone to sit with while she organises her nursery. These work for me and help me feel more sane. What about you? Do you relish winter and snow? What do you do to keep sane during the chilly months?